At the age of sixteen Nagrin (née Swezea) attended the University of Washington in Seattle where she studied Drama & English, and Music & Philosophy (1945-1951). She appeared in lead roles in the Drama department’s productions and it soon became apparent Nagrin was developing into a gifted performer. For many years Nagrin had studied singing with Kathleen Lawler, a former voice coach at the Metropolitan Opera. Around this time Jan Peerce, one of the Metropolitan Opera stars, came to town and Nagrin was invited to sing for him. He immediately offered to bring Nagrin to New York and finance and support a career in opera, but it was an offer she declined. Concurrent with her studies at the university Nagrin was an active performer in the Seattle Repertory Theatre (1947-51) ran by Florence Bean James and Burton James. It was an environment that was stimulating and exciting for Nagrin. The James’s had progressive theatre tastes and most of the plays produced were original works. Nagrin had the opportunity to perform in over twenty productions and the skills and confidence she developed as an actress she attributed to the James’s. 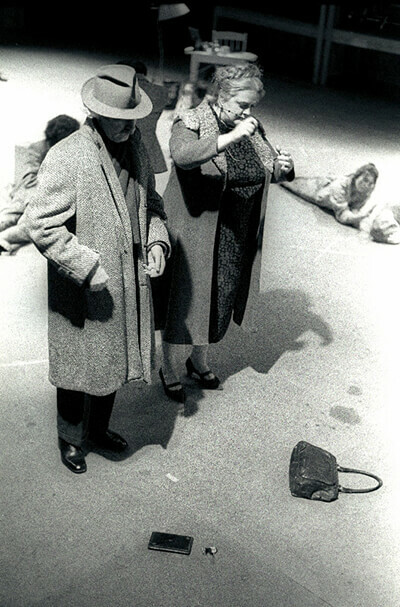 Nagrin arrived in New York City in 1954 with her then husband, the young budding folk singer Sandy Paton (during this period she was known as Lee Paton). Nagrin was fuelled with a creative passion and ambition that had been ignited by her experiences with the Seattle Repertory Theatre. She took the lead in Oscar Wilde’s An Ideal Husband, at the Royal Playhouse on Fourth Street. That same year she joined the Mad Anthony Players for ten weeks of Summer Stock in Toledo, Ohio and played leading roles including Blanche DuBois in Tennessee Williams’ A Street Car Named Desire, and Katherine in Shakespeare’s The Taming of the Shrew. Her interest shifted that following year to developing theatre spaces and producing. Amid all this productivity her acting briefly led Nagrin to Hollywood where she appeared as the nurse in the cult film The Blob (1958) alongside Steve McQueen. Paramount Pictured subsequently offered her a seven year contract but she turned it down in order to follow her creative path in NYC, where she continued to produce theatre until 1961. 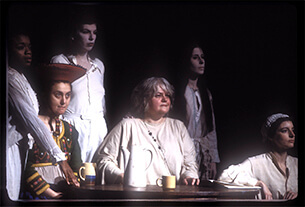 Nagrin took a hiatus from theatre to concentrate on painting and she didn’t return to performance until 1971 when she performed a small role in Meredith Monk’s Vessel. Monk knew Nagrin through her friendship with Daniel Nagrin and was a regular visitor to their loft. But Monk was unaware of Nagrin’s theatrical background when she invited her to appear in Vessel. 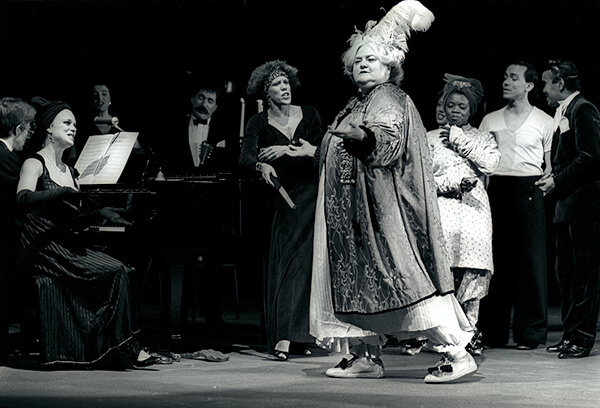 As a consequence of this performance Nagrin became a member of Monk’s company, The House, in 1972 and remained a central performer until 1982, though she appeared in revivals until 1993. Over a ten year period Nagrin contributed an astonishing array of characters to Monk’s oeuvre: Education of the Girlchild (1973), Paris/Chacon/Venice/Milan (1973/4), Small Scroll (1974), Quarry (1976), Recent Ruins (1979), and Ellis Island (1981). In 1975 Nagrin also co-created and performed in Stings with the choreographer Margaret Beals. 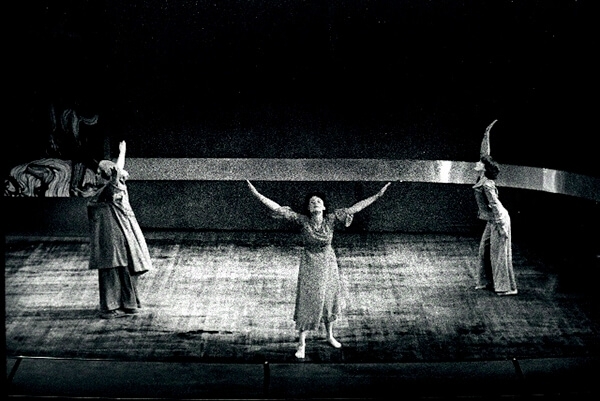 Between 1979 and 2007, Nagrin was a performer in all her own theatre productions in which she assumed the roles of narrator and subject. In 1992 Nagrin went out into the theatrical world to gain inspiration and renew. She performed in the writer and director Karen Malpede’s Blue Heaven and later in 1995 in The Beekeeper’s Daughter. Nagrin was a founding member of Theatre Three Collaborative, Inc (1995) with Malpede and George Bartenieff. 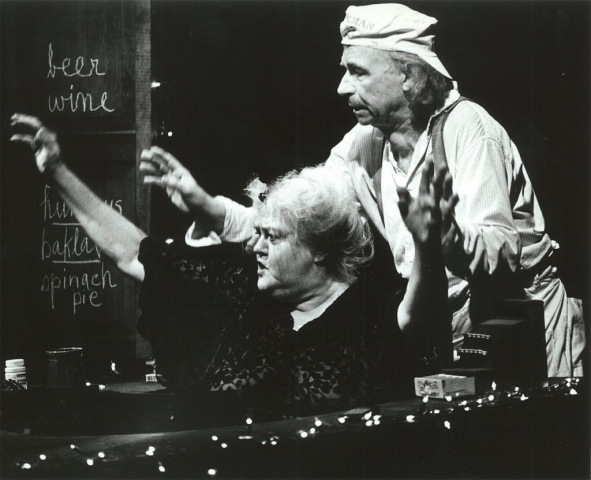 In 1995 Nagrin also performed the role of Dotty in the Foundry Theatre’s production ofDeviant Craft, directed by Melanie Joseph and written by W. David Hancock. She performed in Yvonne Rainer’s film MURDER and murder in 1996, and in 1999 in the dance film Rolling by Alain Le Razor. 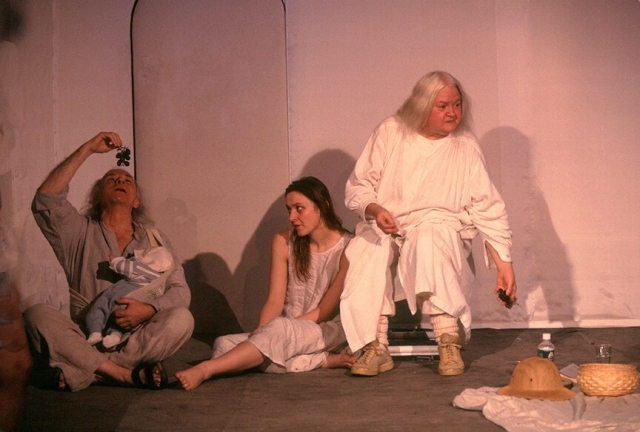 Nagrin’s last live performance was in 2003 in The Nostalgic Body, a multi-media collaborative performance by Janet Aisawa and Mary-Clare Mckenna. In Nagrin’s final theatre work, Behind the Lid,in 2007, her presence was beautifully kept alive in the form of puppetry and a film.